Elegant and soft, with beautiful drape. Whenever we feature this pure super baby alpaca scarf at a craft show, we know this yarn will fly off the shelves. It's incredibly soft, and the finished scarf rests elegantly against the body. 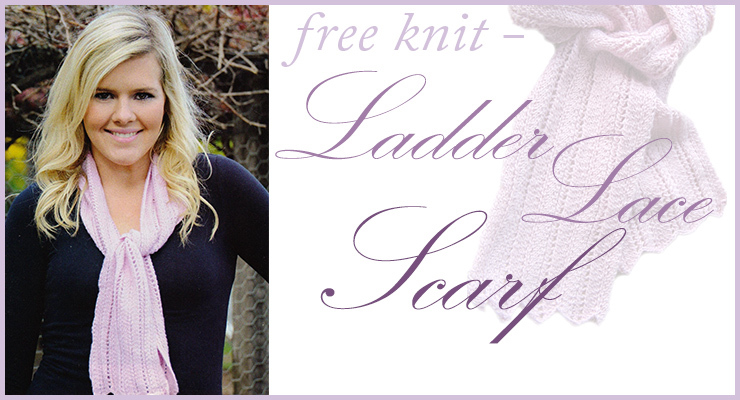 For the next month only, we're giving away our highly popular Ladder Lace Scarf in pure super baby alpaca knitting pattern free when you make any purchase from our store (usually $4.95 with matching cap pattern). This exquisite scarf can be crafted from just 2 balls of yarn, for a high-end accessory without the luxury price-tag. If you'd like to get the yarn for this pattern, you'll need 2 balls of Eki Riva Alpaca Supreme (plus a pair of 3.75mm knitting needles). * pattern will be included automatically with your order. Note: our scarf is knitted in Eki Riva Alpaca Supreme Shade Pale Pink. Want to see more from Knitting Yarns by Mail? Subscribe to our mailing list for style inspiration, new releases, special offers and patterns to your Inbox.